This eLearning course will quiz you on the knowledge contained in the Procurement lesson and help identify your weak areas. Which of the following statements are true or false about Procurement Management? It is about purchasing or acquiring the products, services or results needed from outside the project team, and includes planning, soliciting sources, choosing a source, administering the contract, and closing the contract. Select True or False for each statement. 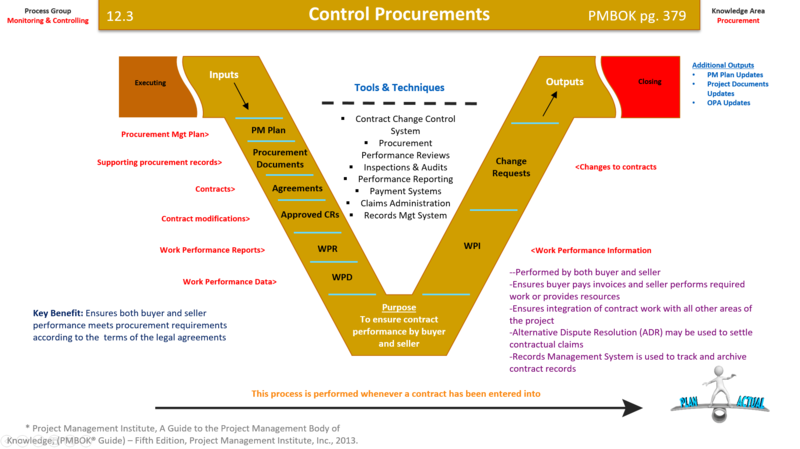 Which of the following are inputs to Control Procurements? Which of the following are tools/techniques used in Control Procurements? Which of the following are true or false regarding Control Procurements? Match the contract types to their correct description. Which of the following statements are true or false regarding contracts? 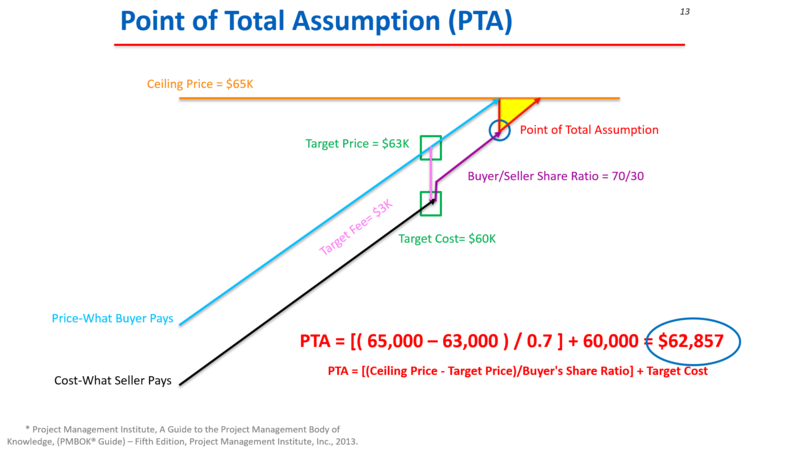 In a Cost Plus Incentive Fee contract, the seller agreed to an estimated cost of $65,000, an estimated price of $82,500, and agreed to share 30% of any cost overrun or savings. Upon completion, the final cost was $66,350. Complete the solution table below. Place the terms and values where they belong on the graph and solve for Point of Total Assumption. 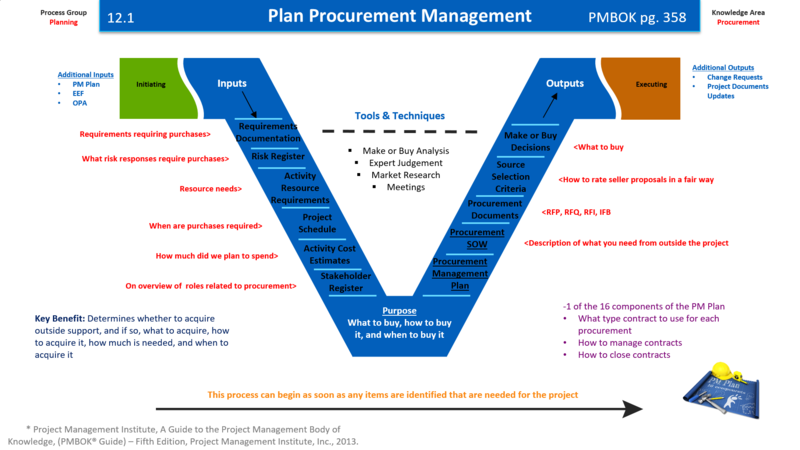 Which of the following are inputs to Plan Procurement Management? Which of the following are outputs of Plan Procurement Management? Which of the following are true or false regarding Plan Procurement Management? 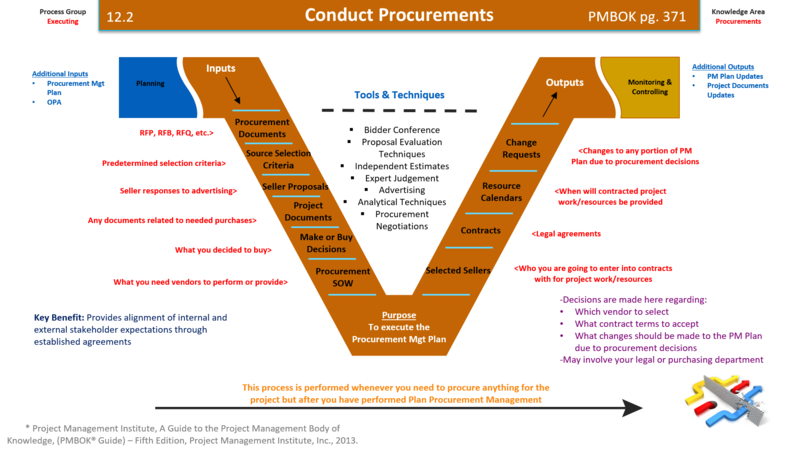 Which of the following are inputs to Conduct Procurements? Which of the following are tools/techniques used in Conduct Procurements? Which of the following are outputs of Conduct Procurements? Which of the following is true or false regarding Conduct Procurements? Which of the following are valid reasons to close a contract? Which is true and false regarding Close Procurements?